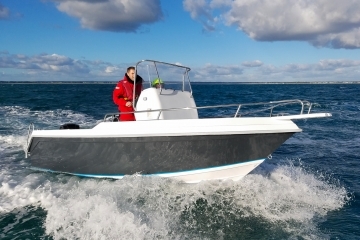 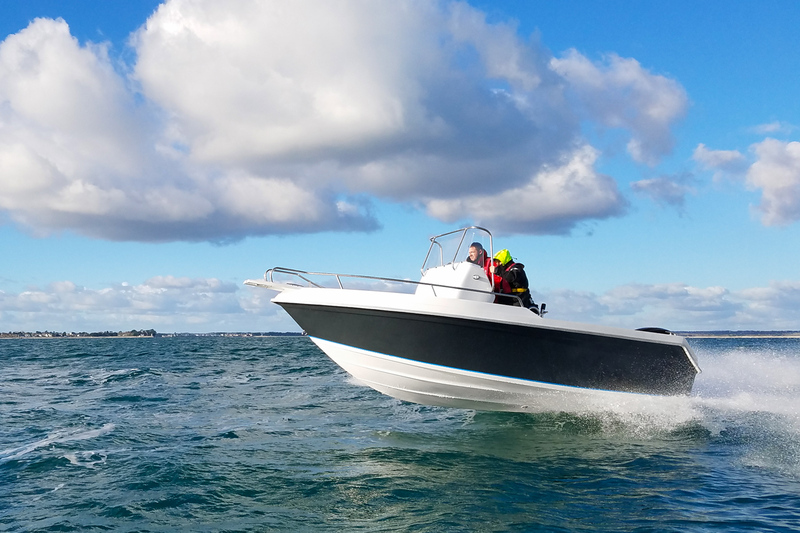 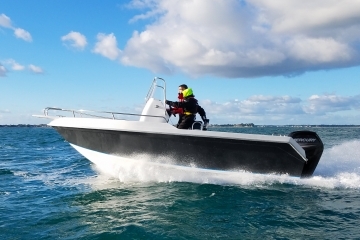 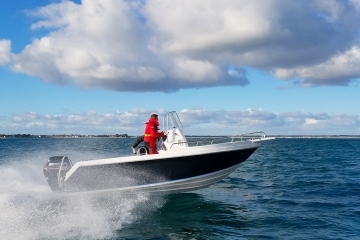 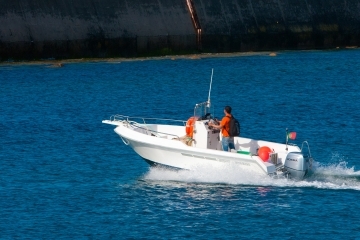 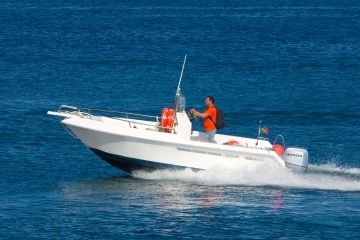 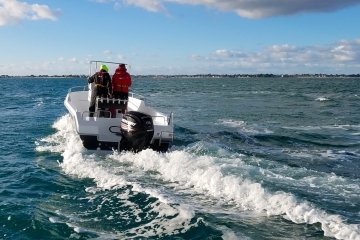 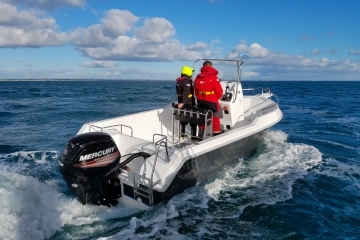 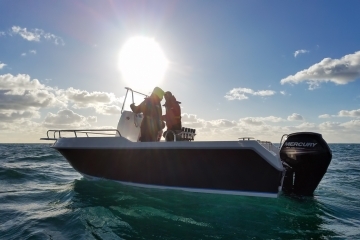 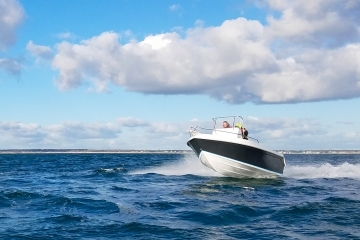 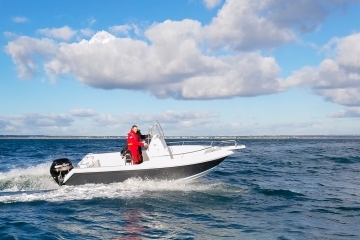 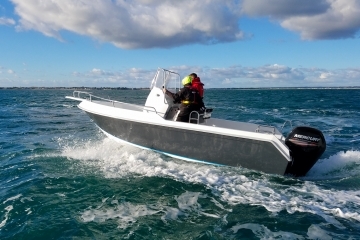 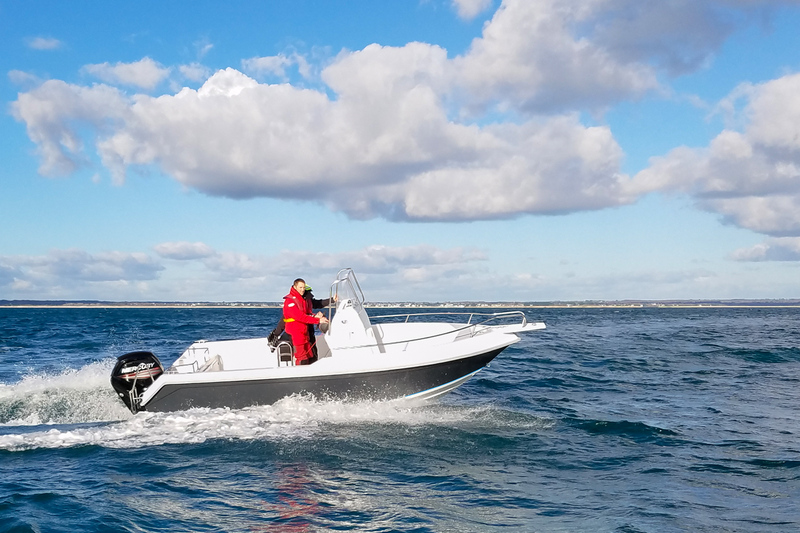 The 550 Open is a model devoted for the initiate who enjoys sport fishing. 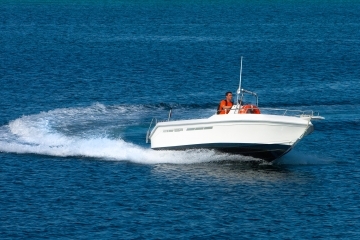 It is a very versatile, dynamic and practical model. The spaces and elements are very ergonomic and multifunctional, great for family trips and for fishing, without forgetting the spirit of sport. 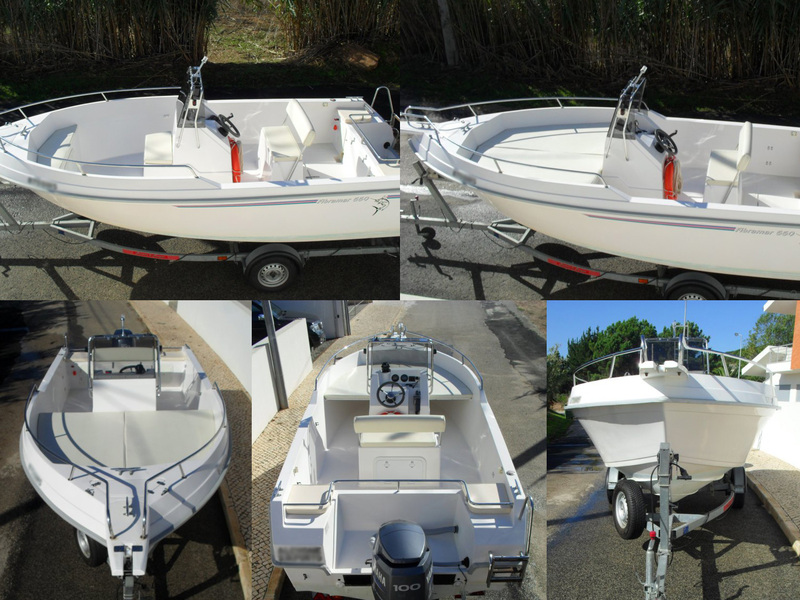 Inside, the 550 Open is a center console boat with a classic layout. 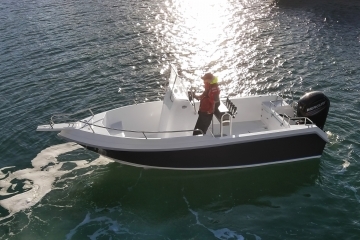 In the bow there is a cushioned seat that can be transformed into a sundeck (optional). 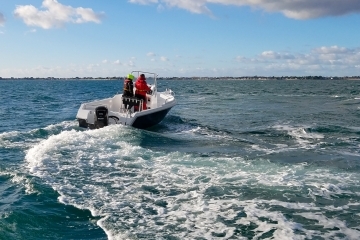 The aft space is abundant having a livewell tank (optional) and also lots of storage space inside the pilot seat and the center console. Another important aspect is the height of the border that provides extra security to the child on board. 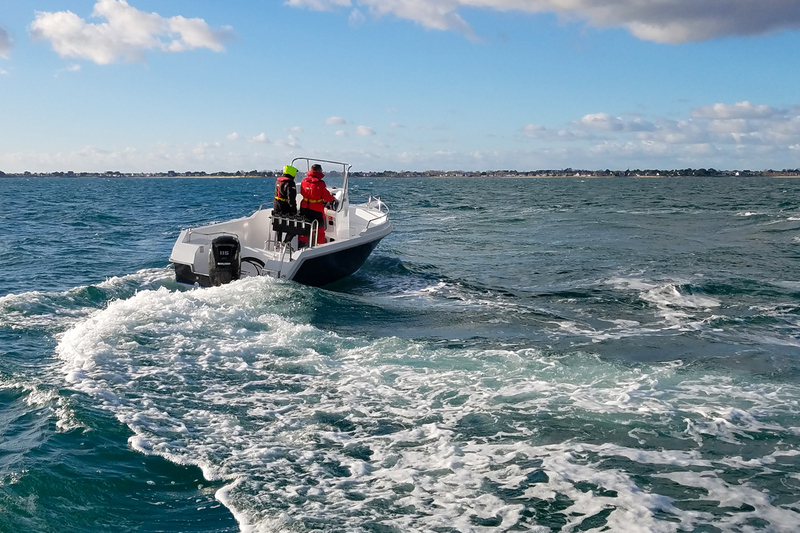 In the rear there’s a stainless steel balcony to increase the security of the passengers sitting on the incorporated benches. All the cushions can be removed and the result is a simple boat, with functional layout and large storage capacity. 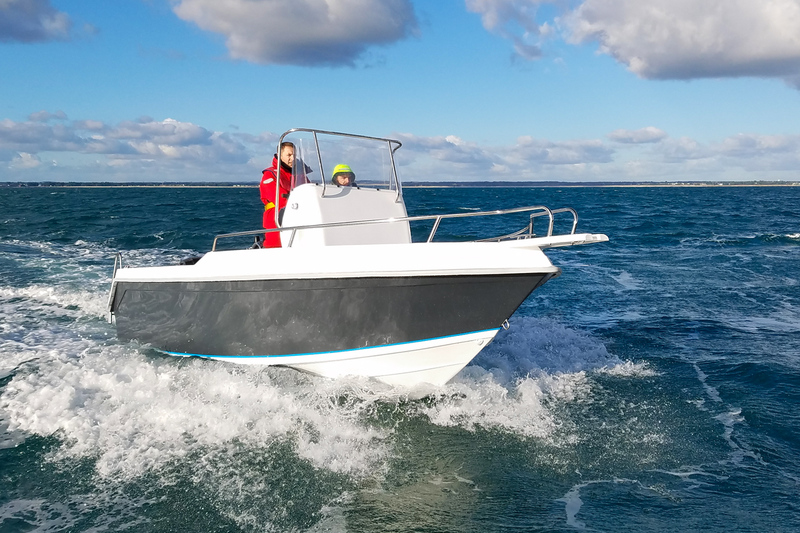 High center console (optional) is available. 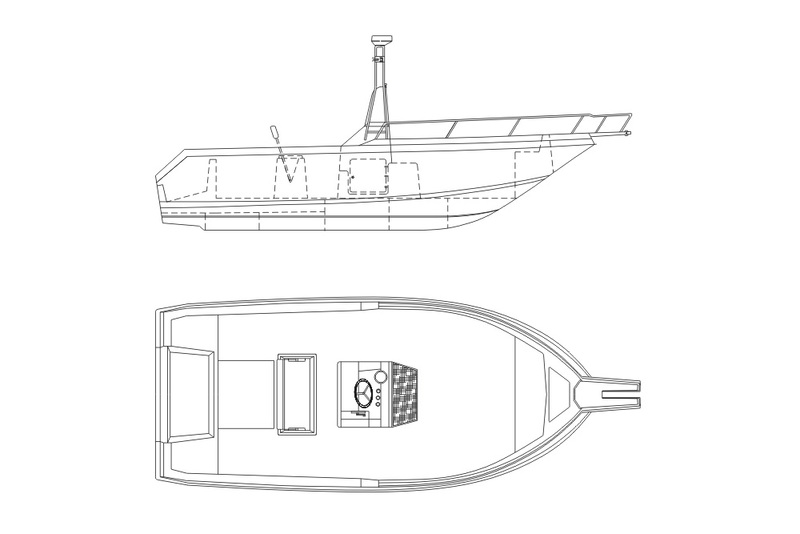 Cleats, skene bow chocks, U-bolt bow eye, bow rail, transom rail, embedded benches at the bow and at the stern, central console with bench, storage locker/seat with tilting back, foldable ladder, bow roller, compartments for storage at bow and stern with locks, self-draining anchor locker, self-draining deck, non-slip deck, cushions, fuel tank 100L. 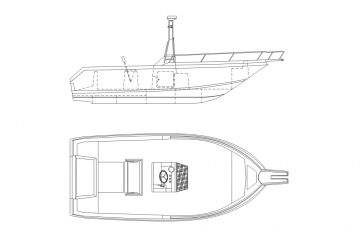 Color of the hull, central console alta, sundeck, table, handrails, side handrails, rod holders, T-top.